Chrome for Mac due in December? If you think that astrophotography is just slapping a camera onto a telescope, Nikon wants to expand your horizons with its latest DSLR. The D810A is a special version of its full-frame sensor D810 aimed squarely at the starshooting and scientific set. In fact, Nikon goes so far as to say that it's "not recommended for general photography" thanks to a modified infrared filter that may distort colors on regular shots. However, the IR tweaks help it "capture the brilliant red hues of diffuse nebulae and constellations" thanks to optimization in the so-called H-alpha spectrum, according to the company. On top of the IR tweaks, the D810A has other features aimed at pro and amateur astrophotogs that may make regular D810 owners jealous. For instance, it can give you an estimated preview of tricky long exposures by electronically brightening the display in live view mode. It's also got a tweaked 200-12,800 ISO range better adapted to telescope shooting, and compliments the manual shutter (bulb) mode with a range of preset shutter speeds between 4 seconds and 15 minutes. Nikon will include an "astro noise reduction" filter in its included Capture NX-D software to boot. Otherwise, it's a D810 through-and-through which is a good thing for telescope and scientific shooting. Nikon's top high-res model includes a full-frame, 36.1-megapixel sensor, an electronic front curtain shutter mode to minimize vibration and a moisture-sealed magnesium alloy body suited for nighttime trips into the boonies. The new model will arrive in late May, with no word on pricing yet. 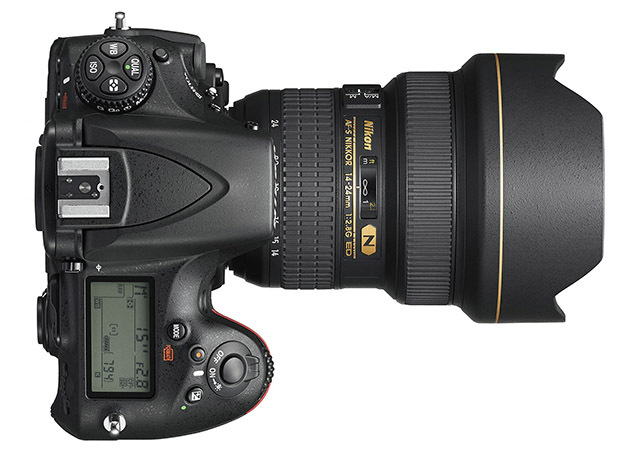 Just to give you an inkling, however, the Nikon D810 (body only) runs a stellar $3,300.